Wise words of advice, passed on by our wonderful Swedish friends Eric and Birgitta from Ariel IV. 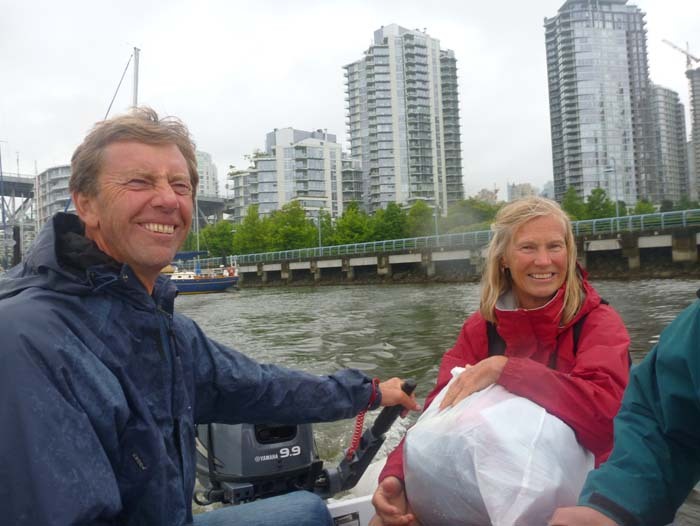 They have just sailed to Vancouver from Sweden, via the North-West Passage (check out their website to see some of their adventures and photos). 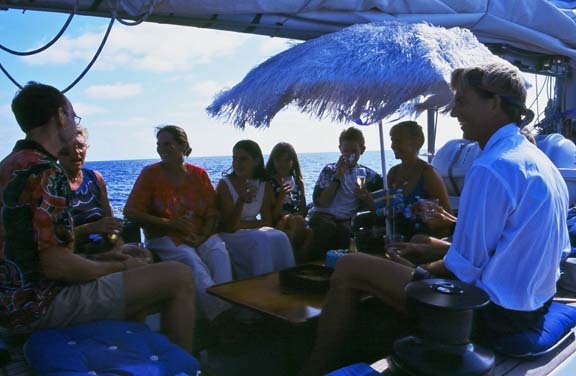 I met these fantastic people in 2000, sailing in Australia with mom and dad. They had sons that were the same age as Jess and I, so we ended up sailing together for over a year. Up from Australia, through South East Asia, across Pirate Alley, and eventually through the Red Sea and Suez Canal (at which point they turned left, for Sweden, and we turned right, for Israel and Turkey). 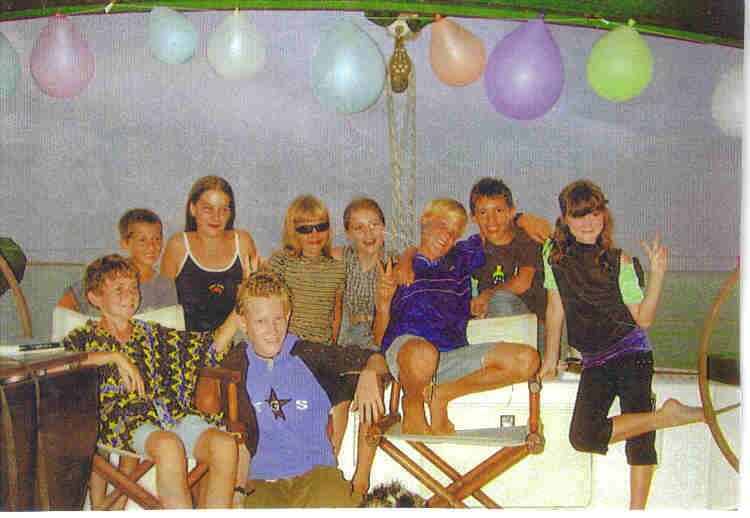 Took me a while to dig this one up -- Rasmus' birthday party in the Red Sea (our kind friends on the catamaran 'Sol Mates' lent the kids their boat to party on!). Is it any wonder we all thought the Red Sea was fun?? The funny thing about sailing friends is that time has absolutely no bearing; it doesn’t matter that we haven’t seen them in over 12 years, or that there are a few decades separating our ages — what matters is that we have this all-consuming shared passion that unites us, keeps us ‘in the same boat’, and gives us so much to talk about and catch up on. A very good conversation came up while they were in Vancouver visiting: I always worry about the ‘what next’ question; how do you top circumnavigating?? Where do you find bigger and better dreams to get excited about next? 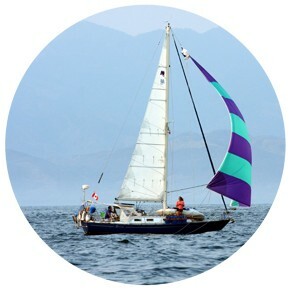 What if we one day get tired of sailing — do we have to go hunting for that corporate ladder thingy?? But Birgitta did a wonderful job of reminding me that it’s not about bigger and better, or even different — that it’s really just about having dreams, and giving them 110%, and keeping those memories tucked away somewhere safe, where you can take them out and share a few moments of nostalgia with old friends when the time is right. I am a fellow Nor’West owner. I sent an email to crew @ withbrio.com and haven’t gotten a response. I thought maybe you would be more likely to see this. Get in touch if you want to chat Nor’Wests. Would love to get together with you before you leave for the new season 😉 We are settled (somewhat) in a house now with a comfy couch. Shoot me an email so we can figure something out.